HomeBeautyRejuvenating Set Review: My Second Time! 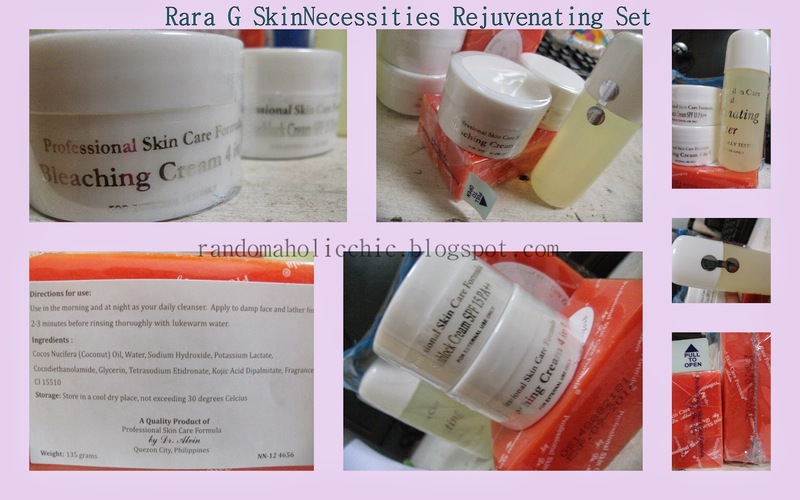 Last November, I received an early Christmas gift from Rara of Rara G Skin Necessities. It was so timely that she sent me two rejuvenating sets because for the past 10 months, I have been suffering from breakouts. Pimples and acne, I felt my whole face was a disaster. There are also a bunch of blackheads on my nose and whiteheads below my lips. 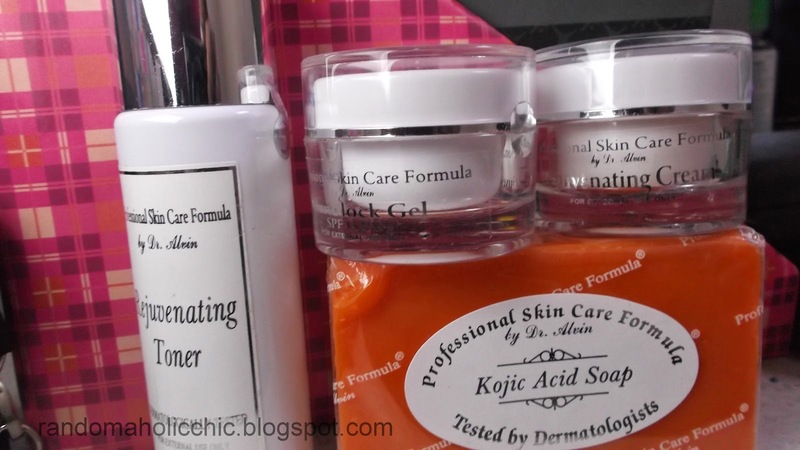 I was really planning to purchase Professional Skin Caree Formula by Dr. Alvin rejuvenating set from Rara G hoping it will help resolve my skin problem. It was October 2013 when I initially tried this rejuvenating treatment which I purchased from Rara G. For those of you who are curious, here is the link of my review as a 1st timer in using this rejuvenating set. And now after 12 months, I would like to share to you my experience on using the same skin treatment for the second time in my life. This is the NEW Packaging. 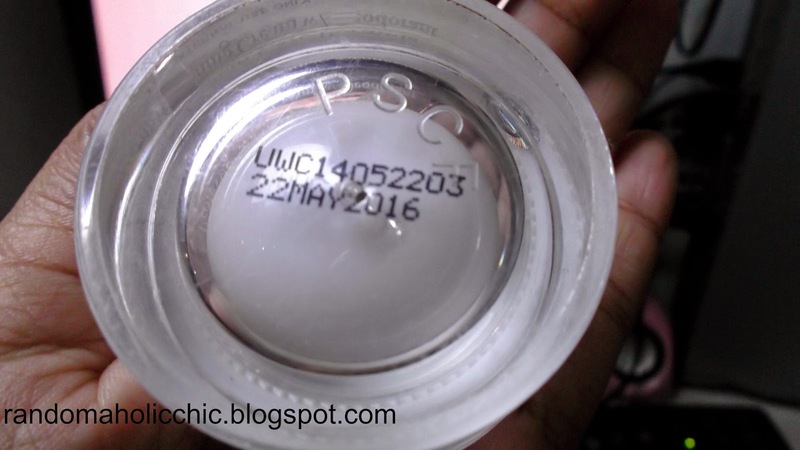 FYI, the new packaging has letters PCSF embossed at the bottom of the jar. If your PCSF creams don’t have the embossed PCSF, it’s FAKE. Tingling sensation all over my face upon using the kojic soap and continues as I apply the rejuvenating toner. Skin feels dry. You know it has started to work, skin feels dry and skin is tighter which is felt most especially when I smile. And OH MY at the scary part, OUCHY when water touches my skin. Ouchier when I wash with kojic soap and applied the toner and bleaching cream. Skin on some parts of my starts to face peel off. Most commonly on areas around my mouth and eyes. My skin looks a bit darker than usual on some parts of my face. Burning feeling is till there whenever I wash my face. It feels itchy but trying my best not to scratch. Look what happened when I accidentally scratched my face. Skin on the nose part peels off. At some small areas of my face, I can see lighter and smoother skin peeking through which excites me so much. Can’t wait to see the result of this treatment. However, there are three new pimples appeared! I thought the peeling on my nose area and around my mouth is done but it is peeling off again. So, it is the second peeling in a row during this treatment. 3rd week: The treatment is almost done. My skin is so much smoother and lighter. The pimples? All GONE! Some blemishes were gone while the darker blemishes became lighter. This momma is impressed! So excited to flaunt my pimple free face. 4th week: Everyone were impressed. Done with the treatment and my skin feels amazing. No pain, no gain. They all know how my skin looks like before I started the skin treatment and they can’t believe I achieved a radiant and smoother skin in just a short period of time. All those skin peeling, painful days on the 1st and 2nd week really paid off. Just like after my first time of using rejuvenating set, it did not made the blackheads and whiteheads disappeared. Random people who havent seen me in a while mistaken me of just recently coming back from overseas. Seriously? That explains how satisfied I am with the result. Thanks so much Rara G for the opportunity to try your rejuvenating set for the second time! I should say that I am more satisfied with the result this time than the first time result which was more than a year ago. Since I have been receiving a bunch of questions eversince I posted my first review, I came up with a list of tips for current rejuvenating set users or for those who are planning to try this treatment. 1. Good thing I received two sets because within the 30 days treatment, I was able to all used up the first set (except the soap) until the 3rd week. Mabuti nang may backup para sure ball na makumpleto ang treatment. 2. I am born practical, always tagtipid. 🙂 Cut the soap into three parts for longer usage. Believe me this is proven and tested. 3. Use a sunblock cream with higher SPF if you are gonna go out. Our weather here in the Philippines is too humid most especially during summer. I suggest to wear higher SPF 30-50 when outside your home just to be sure your skin is properly protected. However, if you are just chilling inside your home, the sunblock that comes with the set which has spf15 is enough. 4. Because the product is working on the deepest part of your skin to release all the dirt and to renew your skin, your face is gonna be itchy. Try your best not to scratch to prevent skin damage. I accidentally scratched my face however, the product helped out to prevent from leaving a scar. 5. Consume as recommended which is twice a day ONLY. Dont go beyond. Some thinks that using the set more than twice daily will show faster result which is FALSE. Infact, it might damage your face in the long run. 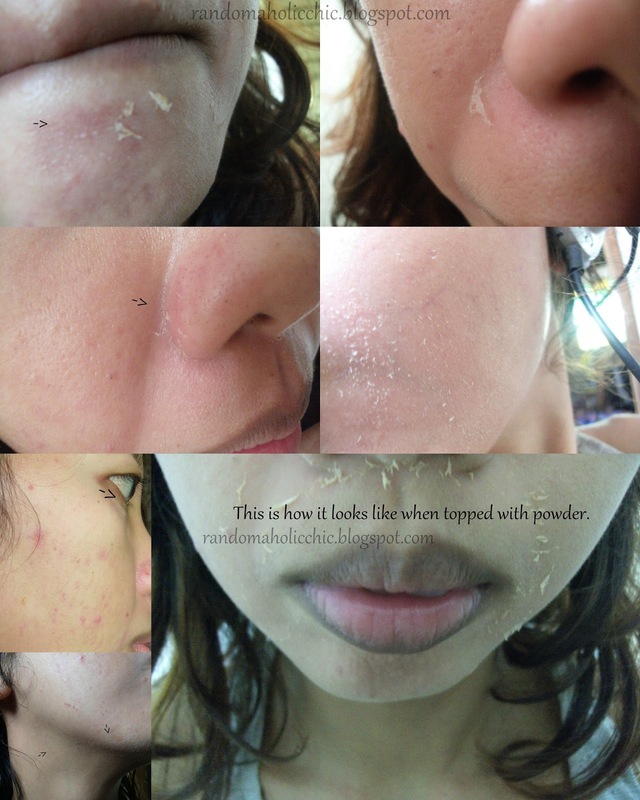 Most probably, foundations and powders will just emphasize the peeling and results to more noticeable condition. I only use iWhite Facial Cream with spf (Read my review HERE) and I don’t set it with powder. I love this product because it helps a lot to hide the peeling going on during the treatment. 7. Refrain from using other skincare products during the treatment most especially facial scrub, anti-acne products and exfoliating cream. They might not go together with the rejuvenating set, you don’t wanna harm your face, do you? 8. Don’t neglect your neck! It’s much better to see your face and neck at the same color. 9. A lot were asking why it feels itchy and is it normal? Itchiness and redness are normal, its your skin reaction to the product. I don’t wanna go on to the scientific explanation, but as you know the rejuvenating treatment is said to renew and process from the deepest part of your skin to deliver faster results. 10. Don’t complain. The treatment is supposed to be painful most especially if you are a first time user. The second/third time is not as critical as the first though. 11. Yes, your skin feels tight and it’s normal. Almost like it could crack when you smile or do other facial expressions. Don’t worry, it won’t last a week. The product is working on the topmost part of your skin and after few days it will peel off to reveal a new, fresh skin. 12. Don’t expect this rejuvenating set will clear your blackheads and whiteheads. It did made my skin brighter and made it look a lot better but the blackheads on my nose and whiteheads below my lips were still there. My Bare Face. Look at the improvement most especially on the problem areas. Reminder: Please beware of fakes. There are so many fake rejuvenating set claiming they are manufactured by Professional Skin Care by Dr.Alvin. Buy only from legit and certified sellers/distributors. Disclaimer: This is not a sponsored post. Although I receive the product for FREE, I was not obliged to post a review. I decided to post my experience as a second time user of rejuvenating set for my readers who are current users or those who are planning to use rejuvenating set. I hope this review is helpful in some ways. Clarifying set whitens dark spots. While 8 in 1 Maintenance set is recommended to use after rejuv treatment for maintenance. You can use either clarifying set or 8 in 1 maintenance set. I never skipped kasi I can endure naman the whole treatment process sis. As I have said sa blog post, itchiness and redness is normal while using the treatment. If it is your first time to use rejuv set, the peeling is intense most especially pag maraming dead skin cells. Pang9thday ko na ngayon namumula pa din face ko.. natuyo na mga pimples ko pero parang my mga lumabas nmn na parang mga whiteheads.. Normal lng ba to? Ngyari din ba sayo to? Hanggang kelan mawawala ung hapdi? Kasi uptonow pagnaghihilamos at toner ako hapdi pa din e kelangan pa tumutok sa fan hahaha! add kita sa fb kung ok lng? ganyan din ako sis when I was using the treatment for the first time, sa harap ng fan. The trick is mabilisang pag apply and hindi paunti unti kasi mas mafefeel ung hapdi pag paunti unti. hahaha if that makes sense. On your third week dapat na lessen na yung hapdi. Hello po…kailangan po bang 2-5 mins ang paglather ng kojic soap? Sobrang hdi po so mga 30 minutes lang kaya ko. Ika 8th day ko po bukas pro sa neck ko namumula parin at mahapdi. Parang mga mapulang birthmark. Ganito po ba talaga? pde puba to sa nag papa breastfeed. When you buy this treatment, it is written including the set that it is not advisable for breastfeeding moms. you said you are already on ur 15th day.did you experience visible peeling? You can continue with the kojic na pero sana nagstart ka sa kojic at the first day of using the treatment. thanks for reading my blog, i am happy to receive comments from my readers. Yup normally konti konting peeling lang ang visible on the first week. Brace yourself for more peeling and hapdi on your second week, hihihi. Yes, lahat naman ng naeexperience mo on your 6th day are normal, nothing to worry. May I ask, what brand of rejuvenating set are you using? during my first time using the treatment, i experienced the same 🙂 But on my second time, it helped to control the pimples from coming back. You can use the treatment again after 45-60 days. Hi! normally, on the third week makikita mo na makinis ung part ng face mo na tapos na magpeel. on your fourth week tlga makikita ang result. Just make sure you follow the direction. 🙂 Yup if you feel na you need to stop using toner, just do it. Iba iba rin kasi skin type natin. To be honest, I am also a BF mom but I dont promote using astringents during BF. I remember I read on a forum that topical applications are fine because they don't enter the milk. Just make sure you do not apply anywhere near the breasts. But for my baby's safety, I tried to research if any of the ingredients is risky for my baby and I find them moderately safe. However, it is your call if you will stop it or not. Better yet, consult a professional to learn more about this matter. If you will choose to stop it, dont worry, it will not make your skin condition worse. If you stop using the product, your skin will just go back to it's original condition prior using the treatment. Hi po leilani tanung ko lng po. Pg bgo palng ako gagamit ng rejuv. Anung set yung una kung gagamtin. Dba ibaiba yung nka lagay sa pouch. Klangan ba may sundin. O kahit anu pwdi kuna agad gamtn. Hello po. Leilani. Tanung ko lng po kng gagamt po ako ng rejuv. Anu yung una kung gagamtin. Iba iba po ba yung mga cream at toner. May klangan po bang sundin na pag kasund sund. Napg gamt. gumagamit kasi ako ng cream powder, ok lang ba yun? hi sisy , anu ba dapat ang sunblock ? gel o cream? ung gamit ko kasi cream. k lang ba yun? Hi mam. Normal lng po ba ang pamamaga ng face on the first week? Sa 3rd week po ba wala na ang pamumula? hi tapos na ako sa 30 days na rejuvenating, pero parang bumalik ulit mga pimples ko pag may period ako. normal lang ba un. tapos gumamit ako ng 8 in 1 maintenance parang walang epekto sa akin. hi sis! im on my 4th day of using rejuv set. buti nakita ko tong blog mo kasi malapit nako magpanic dahil sobrang hapdi at kati at parang nasusunog na skin ko (sabi mo nga normal naman pala) kaso night shift ako and di ako comfortable sa balat ko ngayon lalo sa liwanag ng ilaw sa office. lahat napapansin ung peeling and redness of my face! i'm just wondering kung ok lang ba magliquid foundation on top of the bleaching cream? di ba mawawala ung effect? and ano pa kaya pwede ilagay para di nmn maxado visible ung peeling and redness? nakakaconcious na tlga sobra. thanks a lot! its okay to use cosmetics while using the treatment, doesnt have any relevant effect on the treatment, however, powders and foundations might make the peeling more visible. I use iwhite whitening cream and I apply it using a wet sponge, it doesnt emphasize the peeling. less visible compared to using foundations. to be honest, I am not sure since I did not use any moisturizer during treatment, Im sorry. Hi . 5days na ako gumagamit ng rejuv then super pula ng muka ko normal lang ba yun? or may signs ba na pwedeng masunog face ko even na hindi naman ako lumalabas ng bahay? summer ngayon grabe init . aware lang ako nung mga 2day nag peel sya as in buong muka binalatan ko then may ibang part na nangingitim , tapos nangitim sya super pula normal po ba yon ? thank you po . 2. if you use the toner and cream for more than twice a daily. Advice ko rin po, dont peel it off, hayaan nyo po kusang magbalat face nyo, kumbaga wag nyo po pwersahin agad, just wait til the treatment is over, for sure you will experience peeling on your entire face. Hi..Ms Lailani saan po pwede makabili ng Professional skin care rejuvenating set na hinde fake? You can continue until you fully consumed your cream and toner. okay lang po ba na nagagamit ko ng 3 times a day ung soap at 2 times ung sunblock ? yes it is normal. you can read it sa blog post above. after two weeks, mababawasan ang kati and hapdi. you need to reapply sunblock every after 3 hours to make sure your skin is well protected. okay lang gamitin ang soap 3x/day. just dont use the rejuvenating cream and toner 3x because that is beyond the allotted usage. actually what you may have used before is the old packaging and ang kasama sa rejuvenating set that time is bleaching cream.., The new and improved packaging replaced the bleaching cream with rejuvenating cream..
hello sis, im on my 12th day of using this rejuv. set.. wala man akong masyadong peeling na naeexperience unlike the others.. ang peeling ko lang na visible is in my upper and lowerlip.. normal lang ba to? im afriad na hindi nag eeffect sakn to kasi wala masyadong peeling..
try Belo SunExpert Face Cover SPF40 or Kiehl's Ultra Protection Water Based Sunscreen SPF 25. 8in1 maintenance set, if maputi at makinis na as in wala ng problem sa skin, need lang magmaintain. Pag naman may mga pimple marks pa, clarifying set naman. Pag namn malalaki pores sa face, pore refining naman dapat na gamitin. Hi Miss Lei! Can I ask if normal lang na lumabas ang mga blackheads sa ilong? Normal lang po ba magkaroon ng sugat or bleeding sa mukha pag gumamit nyan? Hi po ask ko lng kc naubusan aq ng rejuvinating set pd ba aq mag switch sa rejuvinating set na binibenta ni rara? 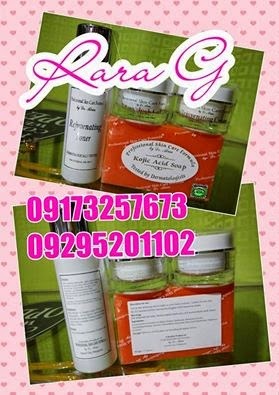 Yes, you can order to sis Rara here are her contact numbers: 09173257673 / 09295201102. You can also send her message in her Facebook Rara. With Rara, you are sure you are getting the original/authentic products. 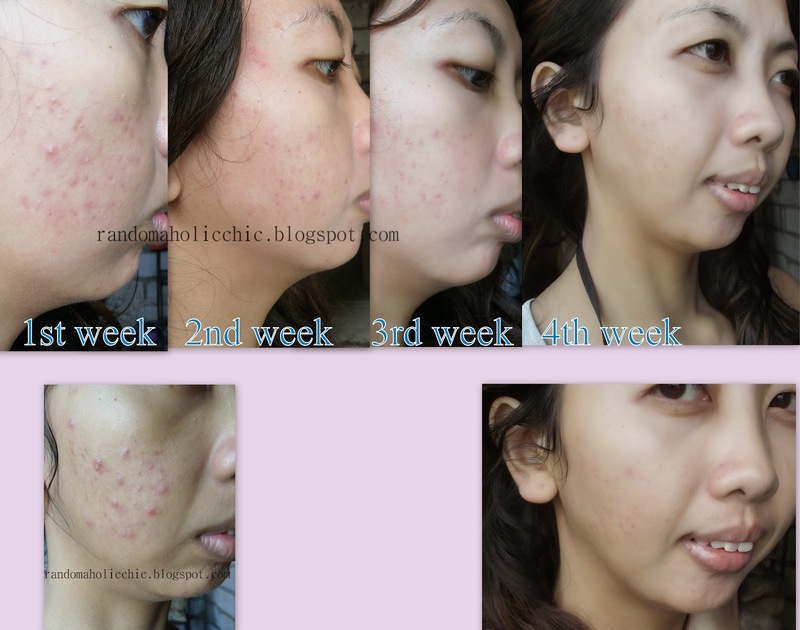 Pls expect pimples blackheads and whiteheads to appear in the first two weeks of using the treatment. Mawawala din po yan, in my case. After you are done with the 30 days treatment you will see the result. wala pong bleeding and sugat unless kinamot nyo po, Please keep in mind that skin will be very sensitive during treatment Basta sundin lang po ang directions. Pwede rin kaya siya gamitin for underarm? Professional Skin Care Formula offers skin care products specially made for underarms. Please dont use rejuvenating set to your underarms because its meant to use sa face lang. Please send Rara a message, she sells underarm whitening sets. start the 30-day count at the first day you started using rejuv set from Rara. Hi, are you sure the skin care treatment you used is original? Also, avoid using other skin care products and cosmetics during treatment since they might not work together with rejuvenating set. Cosmetics and exposing your face to dirt might also cause you pimples. Hi i also bought the moisturizing cream so that it will not feel stingy and also hydrocort cream to lessen the redness in rara's boutique. Could this be helpful for the treatment? I havent tried those creams yet so I dont really have any idea, Im sorry. Anyways, You can always ask Rara for recommendations to lessen the redness. Goodluck on your skin treatment. Gud day ms. Leilani, I'm one of da user's of dis product, & its my 4th day now. I saw ur blog & its really helpful. Tnx 2 ur tips. I just want 2 ask, can I put a foundation & make up on my 12th days? I was asked kc to be a bridesmade on June 20. I'm so worried baka mgka allergy aq f I apply cosmetics during my treatment. Or meron prin bang visible na pamamalat kahit nasa 12th days na aq? -Make sure your skin is moisturized before putting any makeup on. -Avoid using powder foundations, stick with liquid foundation with dewy finish. Most of the time during treatment, skin wont react to cosmetics as long as you use authentic cosmetics and its hypo allergenic. Also, clean your face thoroughly at night, never sleep on your makeup. Hi Miss Lei! 🙂 Itatanong ko lang po sana kung after 30 days of using rejuv. Then I will use clarifying set. After 30 days of using clarifyung set, will I go back again to the rejuvenating set again and then after 30 days will go back to clarifying set again? Hi miss lei. Have you also tried the underarm whitening set of pscf by dr. Alvin? I would just like to ask if I can use calamansi soap in the morning also? The underarm whitening set I bought is with green eeling oil. I'm Kathleen and I am 17 years old. June 27, today is my first day of using rejuvenating set. I just want you to know that I'm very inspired to your blog. Sana po, maging effective din sakin yan. 6 years ko na po kasi pinoproblema yung pimples ko. Sana talaga. Fingers crossed na po. Hehe Ask ko lang po, diba po Morning and Night yung paggamit. Yung sa morning treatment po ba, pagkagising na pagkagising sa umaga? Tas pano po kapag naligo ako sa tanghali, maglalagay po ba ulit ako ng treatment? Sana po ma-notice nyo ako. Sorry po kung madami akong tanong ah? First timer po kasi. 🙂 I'll wait for your response na lang po. Thankyou! Hi Patty, thanks for visiting my blog. Yes, as indicated in my blog post above, there is redness and most part of my skin looked darker as usual. But that is because the product is working to remove the dull skin, which is the outer layer. Its okay to peel it off yourself but you might over do it and results to irritation or magkasugat ka on that part. Might as well let the product takes care of the peeling. Hi ate, normal lang po ba ung redness sa face? pang 15th day ko na po ksi ngaun and still, mapula prn face ko. pano ba malalaman kapag burnt skin na? Ate 16th day ko na po gmgamit but still ampula prn ng face ko. di po ba burnt skin na to? if it hurts all over ur face, it might be a good idea to see a dermatologist. after two-three weeks, u can use rejuvenating treatment again 🙂 Pls wear sunblock before sun exposure and reapply frequently if you are outside. You can also use Sunblock with higher SPF. pwede na po bang gumamit ang 16 years old ng ganyan? Ms.lei naconsume ko na po ung 30days na paggamit ng rejuv pero ngaun po lumabas mga pimples ko..pano po gagawin ko?pls help po..
Hi 3rd day ko palang sa pag gamit ng rejuvenating set. Nagpipeel, mahapdi at napapansin ko na yung redness sa muka. Nagbabasa basa ako ng side effect pero wala akong nababasang nagging oily. Yung akin kase nagooily. Normal lang ba yun? Good evez, sis ask lng ako its 2nd night ko gmitin now, ang rejuvenating set, napansin ko sa face ko,namumula, namamaga, makti. & mahapdi.normal lng ba ito. ?ok lng ba pagktpos gumamit ng toner & sunblock sa umaga pwde mag gamit ng cream? Hi. It's my first time to use the rejuv set then will use the clarifying set after 30 days then planning to use the rejuv set then the clarifying again. I want to ask until how many times pwede gamitin ang rejuv set. Hi Miss Lei, my 30 days of using rejuvenating set and 30 days of using all in one maintenance is done.and i can say that the result is almost perfect hindi na ko ganun tinutubuan ng pimples though gusto ko pang gumamit ng another set of rejuvenating to peel off mga pimple marks na maliliit is it okay? kase ung friend ko na nauna sakin gumamit recommend me na ulitin ung process which she is doing right now (rejuvenating ulit after allin one maintenance) buti notice na sobrang magbakbak ung sakanya and parang nag swell ung mukha niya unlike the 1st time. ganun ka intense po ba un?should i use it again for my pimple marks? Hi Miss. Lei, its my 7th day of using rejuvenating soap. hanggang kelan po yung redness niya?. I've experienced already the pain, peeling and burnt feeling on this first week. Natutuyo na din po yung mga pimples but some pimples still appeared. Yung redness po ba visible parin till on my 14th day? because they keep on saying that ang pangit ko na daw and it's kinda annoying 😀 plsss I need your response. You can use rejuv set again after 30 days. About the redness, it is normal to appear all through out the process. It actually depends din on your skin kasi how it will react to the product. The peeling is has to be done after 30 days. @Caryx, if you gone to the point na youre breaking out so bad, please stop using and consult your derma. Its up to you which one you prefer to use pero u can use the maintenance set na. You can still continue using clarifying set. Then, the next month you can go try the Maintenance set na.